For years, Botswana was a safe place for Africa’s elephants. But now, its government wants to “manage” the herds by legalizing elephant hunting and rolling out the red carpet for rich tourists with guns. Tell President Mokgweetsi Masisi to keep Botswana a haven for wildlife! President Donald Trump and members of his administration who hold deep ties to the fossil fuel industry have set forth to plunder America’s offshore and onshore public lands and waters even at the cost of endangering human lives. As Politico recently revealed, the Trump administration’s Bureau of Safety and Environmental Enforcement (BSEE) has issued 1,700 waivers that exempt offshore oil and gas companies from the Well Control and Blowout Preventer Rule. The Bureau adopted the rule in 2016 to implement offshore safety measures that would prevent another BP Deepwater Horizon disaster — a disaster that killed 11 men and devastated the environment of the northern Gulf of Mexico. But then the Trump administration came in and decided not to require many of the safety upgrades. In the years immediately following the Deepwater Horizon disaster, several panels of experts on offshore drilling, engineering, and oversight examined what caused the rig explosion and oil spill. They found there wasn’t just one trigger to the event, but a series of flawed drilling practices and equipment designs that resulted in oil and gas erupting from the well onto the rig and exploding. These flaws existed, the panels found, because of industry’s desire to cut costs and the government’s lax regulation of offshore drilling. The Obama administration took a significant step to address the identified failures when it issued the Blowout Preventer Systems and Well Control Rule. The rule requires some common-sense upgrades to drilling technology and practices, such as adding back-up safety mechanisms. It also requires operators to regularly test safety equipment to make sure it will actually function in an emergency — unlike the Deepwater Horizon’s equipment, which failed and allowed the blowout. The rule also requires inspectors to be completely independent from the oil and gas industry. Prior to the BP disaster, oil and gas companies were left to self-report on the safety of their equipment. This led to a culture of cutting corners and blowing off obligations to ensure safety for the rig workers. It even led to examples of so-called inspectors falsifying safety tests of their equipment. Under the Well Control Rule, the inspectors are required to be free from conflicts of interest, and are therefore more likely to accurately report equipment problems and other violations. These upgraded standards don’t eliminate the risks from offshore drilling, but they significantly reduce the risks of worker deaths and catastrophic oil spills. Even better for the oil and gas industry, BSEE calculated that the rule actually saves industry millions of dollars in long-term maintenance and operating costs. But apparently the industry thought upgrading its equipment and drilling practices in the short-term was a waste of money, so it lobbied to have the new requirements repealed. Former Interior Secretary Ryan Zinke, himself rife with conflicts of interest, appointed an oil industry insider, Scott Angelle, to oversee BSEE. Angelle “led Louisiana’s push to lift the federal moratorium on Gulf Coast drilling” after the Deepwater Horizon spill and earned $1.5 million as a board member for an oil pipeline company. After he was appointed to direct BSEE, he gave industry executives his personal cell phone number to contact as a “business opportunity,” advising them to call rather than text because texts are subject to public records laws. (Note: John Oliver clip in link has some racy language). So it came as no surprise last April when Angelle announced a plan to repeal the most important safety provisions of the Well Control Rule. BSEE claims getting rid of the safety requirements will have no effect on risks, and also has made head-scratching claims that eliminating these environmental protection regulations will miraculously benefit the environment. The agency is undertaking all this with a “trust us” approach, but hasn’t actually conducted a legally sufficient analysis (e.g., a risk assessment) of what the rollback will mean. With its 1,700 waivers of the Well Control Rule, BSEE is effectively telling industry, “if you don’t like the rule, you don’t have to comply.” Perhaps even more ridiculous is that BSEE is citing the waivers as evidence that the Well Control Rule is “unnecessary.” And the agency is stonewalling attempts to get more info on its secretive decisions to issue the waivers. It’s clear that drilling practices, equipment design, and regulatory oversight were all seriously lacking when the Deepwater Horizon disaster occurred — that it was imperative to address those problems. It is equally clear that the Well Control Rule made significant safety improvements and reduced the risk of another Deepwater Horizon occurring. The oil industry’s desire to make an extra buck doesn’t somehow put it above the law or justify slashing safety requirements and putting people’s lives at risk. Scott Angelle’s efforts to gut the Well Control Rule and send us back to the pre-Deepwater Horizon days of offshore safety are setting us up for another preventable disaster that could result in oil washing up on your local beach. A challenge to Trump’s executive order attempting to jettison a permanent ban on new offshore oil and gas drilling in parts of the Arctic and Atlantic oceans. A lawsuit in partnership with nearly a dozen other groups to keep the Atlantic free of seismic airgun blasting, an exploratory precursor to offshore drilling that can harm or kill marine wildlife. A challenge to the Trump administration’s approval of Hilcorp Alaska’s controversial Liberty project, the first offshore oil drilling development in federal Arctic waters. Earthjustice submitted comments with 16 other groups calling on BSEE to halt its planned Well Control Rule rollback, and is prepared to challenge that repeal if the agency unlawfully finalizes it. You probably know that bees and other pollinators are in trouble for several reasons — including increased overall pathogen loads, poor nutrition, habitat loss and pesticide exposure. But these alarm bells over the broader state of emergency that insects are facing underscore the fact that yes, bees and other pollinators are in trouble. But they aren’t the only insects crucial to keeping an ecological balance, nor are they the only insects at risk. While honey bees are the most commonly discussed pollinator endangered by pesticide exposure, there is a very wide range of pollinators beyond honey bees — including about 4,000 types of bees, butterflies, bats and birds — that can be impacted by agricultural chemicals. This year, the Xerces Society for Invertebrate Conservation reported that California’s monarch butterfly numbers are at an all-time low, declining more than 85 percent from 2017. And this massive drop comes after years of decline; 97 percent of monarch butterflies have already disappeared since the 1980s. Scientists say the monarchs are threatened by pesticides, herbicides, and the destruction of butterflies’ milkweed habitat along their migratory route. Climate change is also a factor, with carbon dioxide from car and factory exhaust reducing a natural toxin in milkweed that feeding caterpillars use to fight parasites. 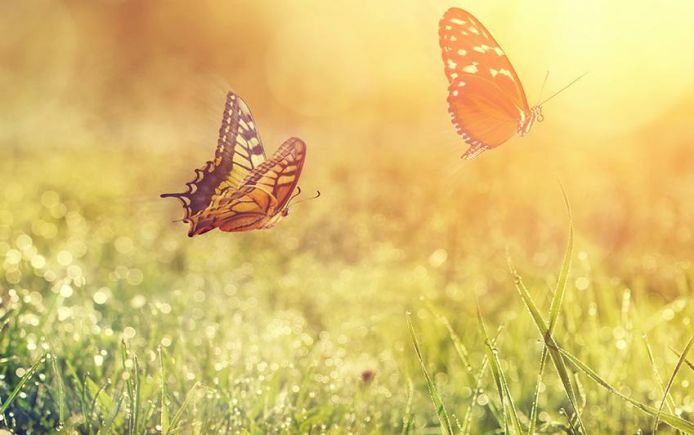 Beyond the monarch news, another recent study has warned that insect populations are declining worldwide due to pesticide use and other factors, with a potentially catastrophic effect on the planet. The study warns that more than 40% of insect species could become extinct in the next few decades. Experts recommend taking radical and immediate action to prevent large scale insect extinction. These include overhauling existing agricultural methods. In particular, we need a serious reduction in pesticide use replaced with more sustainable, ecologically-based practices. Integrated pest management is one such approach to sustainably managing insects, as it focuses on prevention rather than treatment, and uses environmentally friendly options to safeguard crops. The goal is not to eliminate insect pests entirely, but to keep their numbers at a point to which they no longer cause a problem. Unless we change how we produce food, and move away from chemical pest management more broadly, we’ll be in big trouble. This shift in conversation around the importance of insects is an important first step. Translation: genetic manipulation will produce more short-term profit and please ignore that mono-crops raise the risk of total crop failures due to novel but predictable fungus, virus, or rust outbreaks. The post This study argues genetic modification could help quinoa, millet and other naturally stress-resistant plants become more productive appeared first on Ensia. A remote camera snapped this photo of a wolf pup in California’s Lassen National Forest in 2017. Recently a state judge upheld protections for California’s growing wolf population. The wanderer known as “Journey” is a lone wolf no more. Recently, a California state judge upheld endangered species protections for gray wolves, ruling on the side of this iconic species as well as conservation groups represented by Earthjustice. This victory raises the hope that the resurgence started by one wolf known as Journey will live on in California, and it strengthens our resolve to fight for the federal protections necessary to ensure wolves can thrive nationwide. Journey, whose official radio collar designation is OR-7, is a legend among wolf enthusiasts. Back in 2011, he sparked national awe after trekking more than a thousand miles from northeast Oregon to California, where a wolf hadn’t been spotted in almost 100 years. As the Oregon Department of Fish and Wildlife tracked his movements, the large tan- and black-haired wolf moved through such wild areas as the Soda Mountain Wilderness, Crater Lake, and the Umpqua National Forest. Journey became the first wild wolf to set foot in the Golden State since 1924. He traveled back and forth between California and Oregon for a few years, finding a mate in Oregon in 2014. Soon after, they had three furry black pups and were officially designated the Rogue Pack, the first wolf pack established in western Oregon since the early 1900s. The following year, siblings of Journey’s had their own set of wolf pups in California, known as the Shasta Pack. And in 2017, California’s second known pack of wolves, the Lassen Pack, were discovered with three more pups in Lassen National Forest. These wolves, too, can be traced back to Journey, whose son is the breeding male of the Lassen Pack. But Journey’s lineage extends even further across the West. He’s likely one of several offspring originating from a successful wolf reintroduction program launched in 1995 by the U.S. Fish and Wildlife Service. That program involved transplanting several wolves from Canada to Yellowstone National Park, and later elsewhere in the Rocky Mountains. When wolves returned to Yellowstone, the ecosystem began to thrive as they helped restore the balance between predator and prey. Earthjustice is pushing for a similar reintroduction program of Mexican gray wolves in the American Southwest. Together, Journey and his extended wolf pack represent a formidable comeback in a region — and a country — that has historically been no friend of wolves. There were once as many as 2 million of these highly social creatures in North America. By the 1980s, only a few small pockets of survivors remained in the lower 48 states after hunters and fur trappers got their way. Today, anti-wolf groups and their friends in Congress are determined to repeat the mistakes of the past, returning us to the dark ages when wolves were hunted, poisoned, and killed. Beginning in 2011, legislators stripped gray wolves of federal protections in Idaho, Montana, and Wyoming. Since then, trophy hunters and trappers have killed nearly 3,500 wolves. Now the administration wants to remove protections for wolves across the entire contiguous United States. The law recently upheld in California makes it illegal to kill wolves within the state’s borders, and also makes state resources available to ensure their recovery. Even if wolves are stripped of the federal protections they currently receive under the Endangered Species Act, they will remain protected within the Golden State. Journey’s epic travels underscore the need for protections not just in California, but across the United States. That’s why we’re continuing our efforts in court and on Capitol Hill to fight the many attempts by the federal government to remove protections for this endangered species. Without these protections, California — and the country — could be at risk of losing its wolves once again. Join our fight. Participants in the 2017 March for Science in Washington, DC., protested the Trump administration’s anti-science attacks. Several years ago, researchers studying environmental causes of childhood autism found a link to chlorpyrifos, a pesticide widely used across the U.S. on staple crops like corn, wheat, and citrus. That study and others that followed led the EPA to ban the use of chlorpyrifos for most indoor applications, but agricultural use continued, poisoning farmworkers and others. Thanks to a series of Earthjustice lawsuits, the EPA finally proposed banning this brain-damaging pesticide in 2015. But as soon as President Trump took office, the chemical industry lobbied successfully to derail the ban. We sued, invoking the wealth of scientific data showing there is no safe level of exposure to chlorpyrifos. And in August, we won a resounding court order requiring regulators to finalize the proposed ban. This victory is just one of several wins Earthjustice has racked up against the Trump administration. We also had another recent court win to protect grizzly bears in Yellowstone National Park from being hunted. 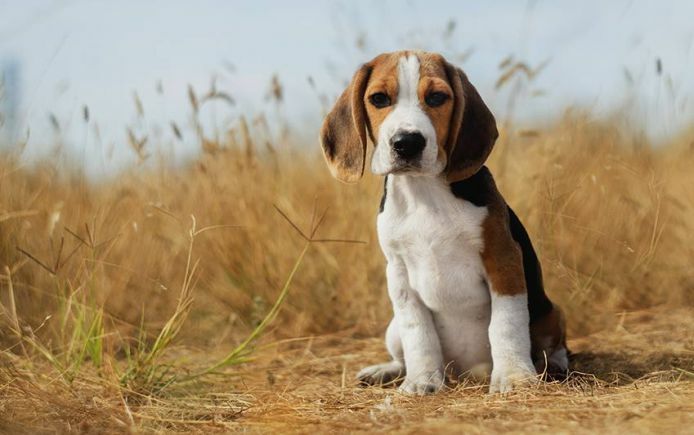 The results in these two cases, as in many of our cases, hinged on years of painstaking work by independent scientists. These wins prove facts still matter in court. They also underscore how much we depend on sound science to protect our health and environment. 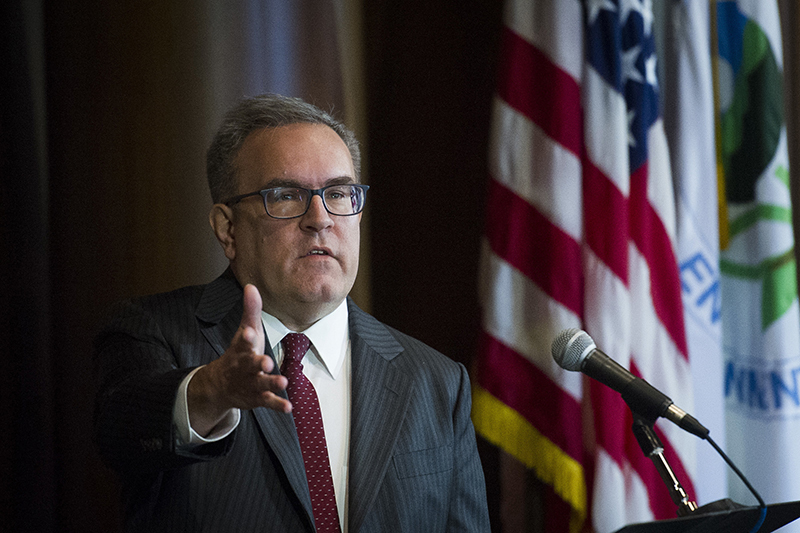 Acting EPA administrator Andrew Wheeler has attempted to exclude consideration of sound science from EPA decisions. The Trump administration and its allies are acutely aware of science’s role in pushing for effective government regulation — which is why they’ve instituted a sneak attack on science. Their effort to disregard or disqualify any scientific finding that threatens corporate bottom lines has been glaringly apparent in the chlorpyrifos fight as the EPA continues to drag its feet. More sweepingly, last year former EPA Administrator Scott Pruitt kicked independent scientists off key advisory boards, and acting EPA Administrator Andrew Wheeler has initiated new actions to exclude consideration of sound science altogether. The administration’s other anti-science attacks include suppressing a report on formaldehyde’s health effects and halting a study on coal’s health risks. Recently, the president ignored findings by the world’s top climate experts, who warned we have less than 20 years to prevent a climate catastrophe. He also denied his own administration’s most recent climate assessment, which details debilitating consequences to our planet and ourselves unless we dramatically cut carbon pollution. Just as fossil fuel interests have attacked good science to delay climate action, the chemical industry is trying to undermine and eliminate science that keeps us safe. Good science is the foundation on which our legal work stands, as well as the underpinning of our strongest environmental laws. 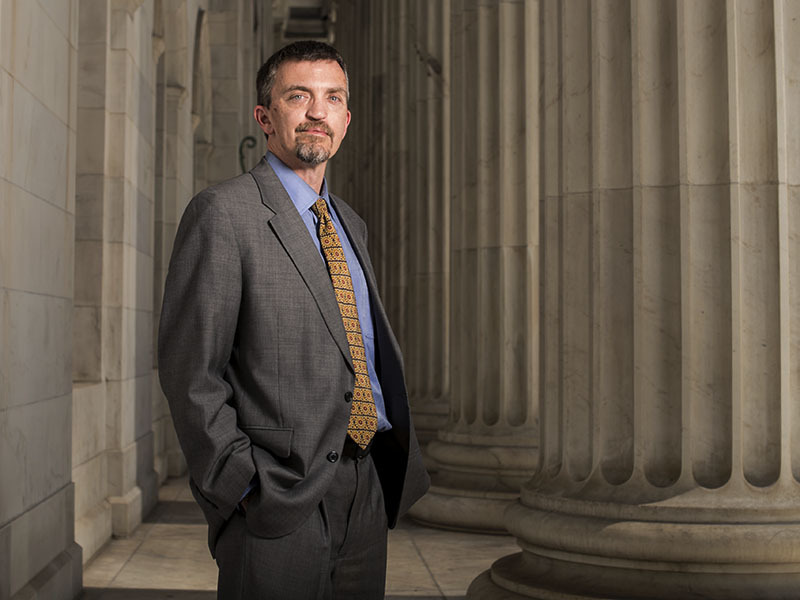 We are taking every opportunity to defend the role of science in the courts. And, in the new Congress, we will be pressing for robust investigations of this administration’s unfounded attacks. Walter Echo-Hawk, a member of the Pawnee Nation of Oklahoma, discovered in 2015 that government agencies had approved oil and gas leases on Pawnee land without telling the tribe. 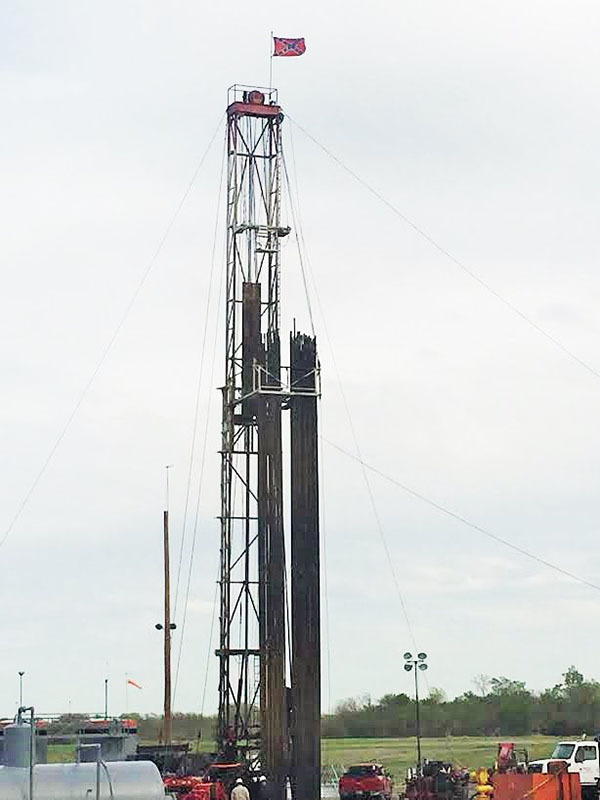 A Confederate flag hangs from a Crown Oil fracking operation upstream from Echo-Hawk’s home. 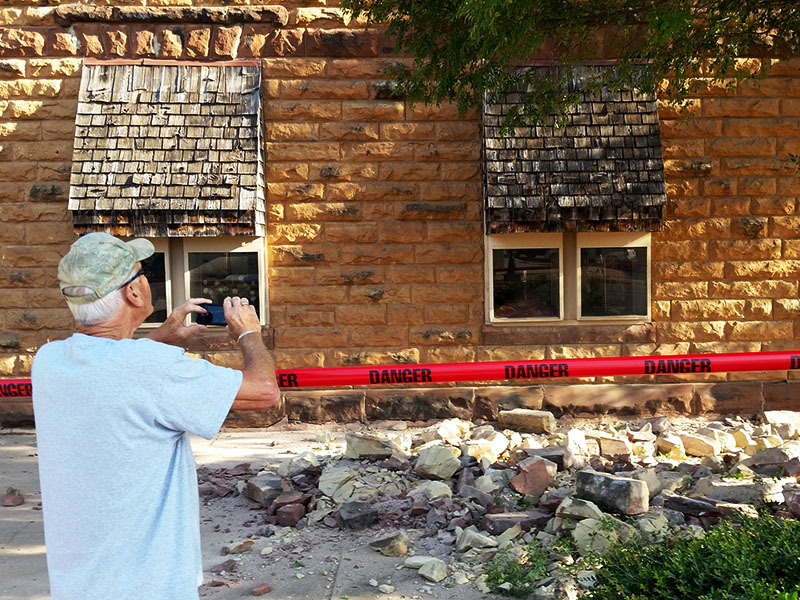 A man takes photos of damage to a building in downtown Pawnee, Okla., following a 5.6 magnitude earthquake in 2016. Geologists have linked an uptick in earthquakes to fracking. In 2015, the tribe requested that the agencies issue a moratorium on all new oil and gas approvals on tribal land while concerns about earthquakes and water contamination were addressed. Despite the Nation’s request, and the ongoing earthquakes, regulators continued approving new operations like water withdrawals for drilling on the leases. “It became apparent that the agencies were not inclined to be accountable to tribal or U.S. law,” says Echo-Hawk. So the Pawnee decided to contact Earthjustice. In early September 2016, the tribe’s fears about fracking were realized after the most powerful earthquake recorded in Oklahoma history struck the Pawnee area. The jolt was also felt by six neighboring states. 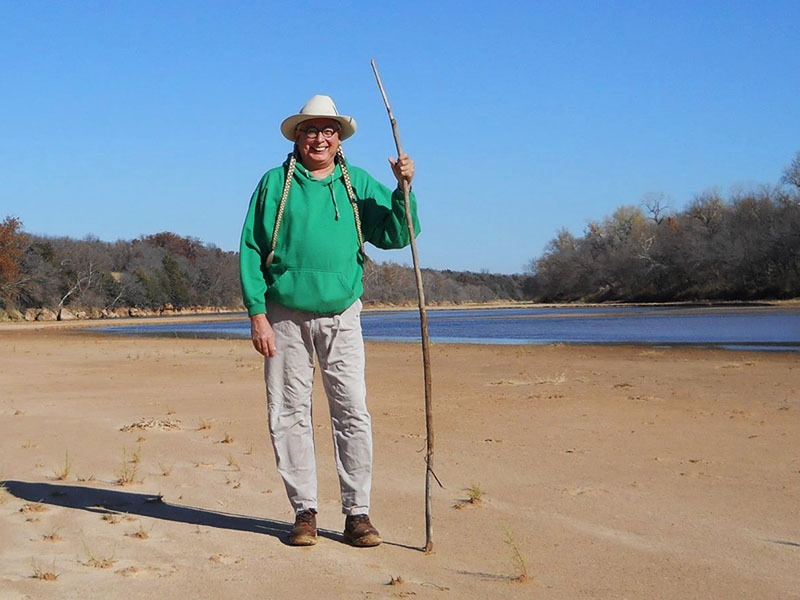 Earthjustice attorney Mike Freeman represents the Pawnee in their lawsuit against the Bureau of Indian Affairs and the Bureau of Land Management. “My house is made of brick and stone, and it shook as though it were made of straw,” says Echo-Hawk, whose home was among the many houses and administrative buildings badly damaged in the quake. Since then, several studies, including one from the U.S. Geological Survey, have found evidence linking fracking wastewater injections to earthquakes across the country. Shortly after, Earthjustice filed a lawsuit against the Bureau of Indian Affairs and the Bureau of Land Management on behalf of the Pawnee Nation, as well as Echo-Hawk and other individual Pawnee members. Earthjustice attorney Mike Freeman says the Pawnee situation illustrates a larger pattern where the federal government violates the law by approving oil and gas projects on tribal lands without telling the affected tribes. The Bureau of Indian Affairs, for example, has used a similar maneuver in recent years in New Mexico, Maine, and on tribal lands in Oklahoma. In addition to the federal court lawsuit, Earthjustice asked the Bureau of Indian Affairs to reconsider its leasing decision through a legal mechanism known as an administrative appeal. In May, the agency’s internal review agreed with the tribe’s argument, determining that the Bureau of Indian Affairs violated the law by approving the oil and gas leases without informing tribal members and without examining fracking’s environmental impacts. The agency’s review invalidated three of the leases and declared another 10 expired and therefore no longer in effect. Only four leases now remain, and the tribe, represented by Earthjustice, is elevating the issue to the national level by bringing the case to the Interior Board of Indian Appeals, a federal review body. At the same time, Earthjustice’s challenge against the Bureau of Land Management’s drilling permit approvals is moving forward in district court. While some drilling has been approved on the four remaining leases, Freeman said they have the same legal defect as the leases that were already invalidated. As a result, he is hopeful the federal review board will strike down those four leases as well. Mistake NUMBER ONE, 2, 3,4,,,? Thinking that humans know enough to outsmart nature’s means of dealing with imbalance of systems. Much of this came to light through Rachel Carson’s revelatory book Silent Spring, published in 1962, but scientists already had begun to look for less toxic pest control alternatives. Researchers at University of California, Berkeley, and University of California, Riverside, defined in 1959 the principles of what would later be called integrated pest management (IPM) — an environmentally sensitive approach to controlling insects and other pests that relies on a combination of tools. Today, biopesticides are part of the IPM toolbox. Biopesticides are pesticides made from substances found in nature that offer a less toxic alternative to man-made chemicals. As a class they’ve been used for a long time, but most traditional biopesticides haven’t been able to compete with synthetic pesticides on cost and effectiveness. Researchers around the world now are working to change that by manipulating chemicals found in plants, animals, bacteria and fungi. They’re discovering new ways to use nature’s arsenal to build better biopesticides and so reduce the need for less environmentally friendly pest control. “Spiders are professional insect killers,”says King, a professor at the University of Queensland, Australia. Venom from spiders, scorpions, snakes and other predatory animals contain a mix of biologically active compounds called peptides. These small molecules kill prey in various ways. Some affect the nervous system. Others injure the cells and damage living tissues in other parts of the body. Some are specific to specific prey animals. In July 2018, Michigan-based Vestaron began selling its first biopesticide derived from these peptides. The product, called Spear-T, kills aphids, mites, thrips and whiteflies — common pests of greenhouse-grown veggies and ornamental plants. CEO Anna Rath says Vestaron plans to bring to market a family of peptide-based biopesticides in the next few years for use on field crops, too. 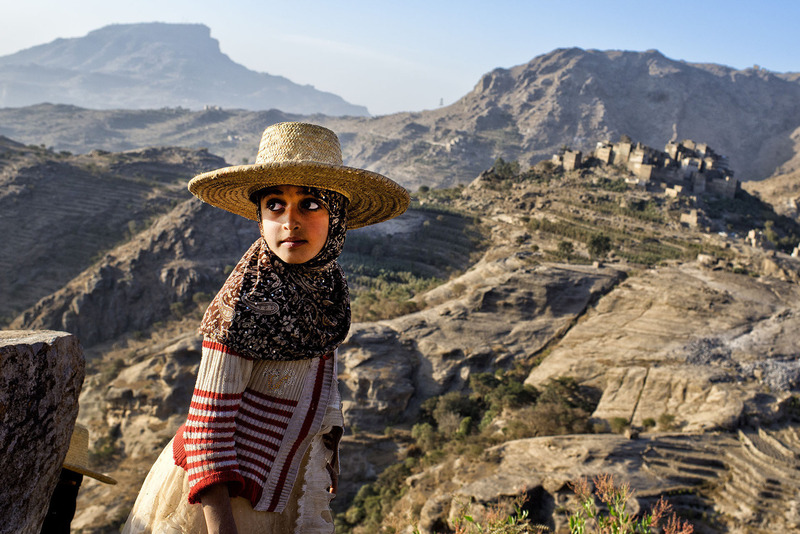 For the past few decades, farmers around the world have employed essential oils, including neem oil — an extract from the Asian neem tree — as insecticidal botanicals. 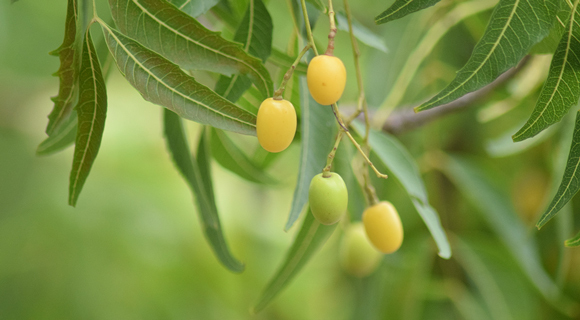 Essential oils, including neem, break down quickly in nature. This makes them environmentally friendly, but not very effective. Recently, scientists have started to experiment with encapsulating these botanicals in nanoparticles that could help to protect the active compounds from breaking down as quickly—an idea that’s been tried successfully with some medicines in the human body. Fungi are another particularly promising source of biopesticides. “They’re major disease-causing agents in nature,” says Raymond John St. Leger, an entomologist at the University of Maryland. Many have evolved to parasitize specific insect hosts, devising gruesome methods for finishing them off. For instance, some ant fungi turn their hosts into zombies —infecting the ant’s brain and causing it to move to an area conducive to fungal growth before killing it and releasing fungal spores through the top of the ant’s head. But fungi work slowly, so St. Leger and University of Maryland Ph.D. candidate Brian Lovett now are working on ways to genetically modify fungi for a quicker kill. 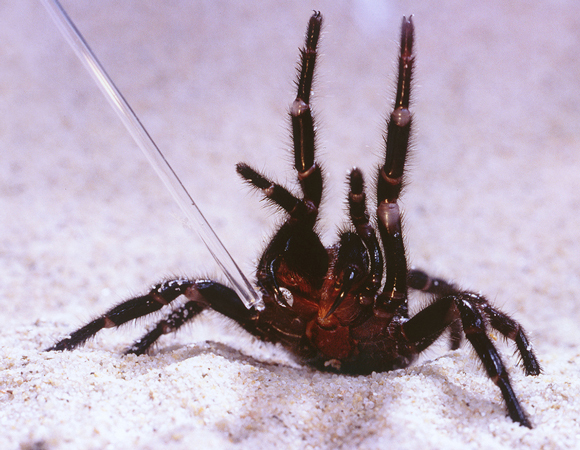 They and other colleagues have inserted venom peptide genes from spiders and scorpions into fungi. They’ve taken their experiment to Africa, where they’re testing its efficacy in aerosol form on malaria-causing mosquitoes in an enclosure specially built to prevent accidental release. Despite the scientific excitement around new biopesticide technologies, most remain untested in the marketplace. When it comes to using in agricultural applications, “in the end, all that matters is what farmers think,”says King. None of the researchers sees biopesticides as a perfect replacement for synthetics, for either farming or public health applications. “Chemicals are going to continue playing a role for a long time to come,”says St. Leger, who sees the recent innovation in biopesticides as creating more options for pest management, not a single solution. No one product will offer a long-term fix, since pests are constantly evolving resistance. These biopesticides are prone to resistance just like any other pesticide, so if they aren’t used appropriately and rotated with other forms of pest control, they — as synthetics before them — could contribute to harder-to-kill pests. The post Looking to fungi, spiders and other natural insect killers for less toxic alternatives to synthetic pesticides appeared first on Ensia.